The porcelain is potted in the form of a three-peaked mountain form brushrest flanking a peach-shaped waterpot. 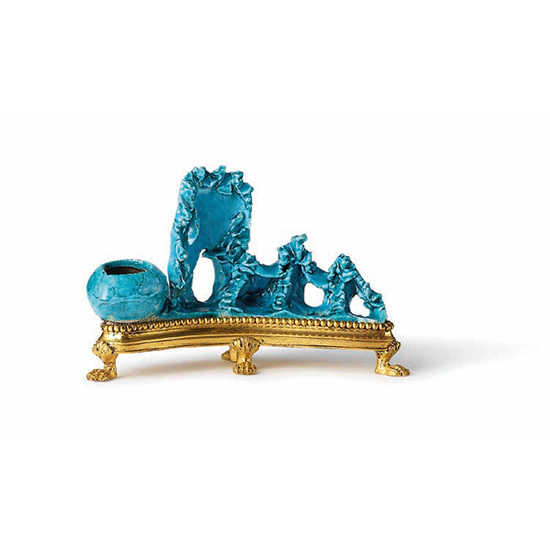 The biscuit body is covered with a bright turquoise glaze. The piece is mounted on a four-legged gilt-bronze 19th century French ormolu mount.